Unlike Armour Thyroid and medications that cause side effects, our formula is a blend of natural supplements like bladderwrack, kelp and iodine that are shown to support a healthy thyroid. 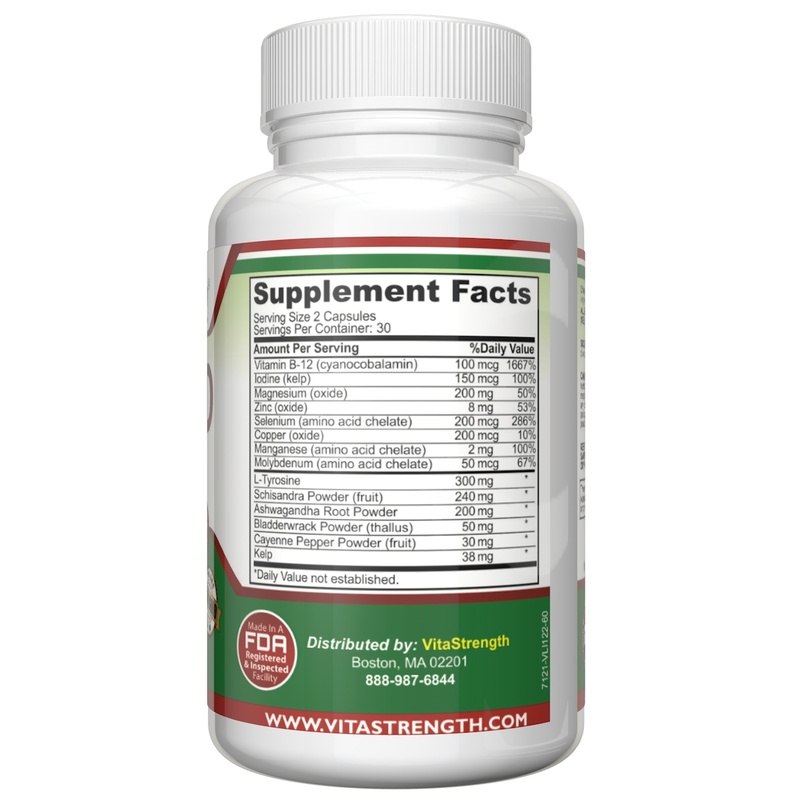 VitaStrength thyroid energy supplement re-energizes the body, assists with healthy metabolism and thyroid function, blood circulation and more! Order VitaStrength Thyroid Support today! NATURE’S SOLUTION FOR THYROID SUPPORT: Unlike Armour Thyroid and medications that cause side effects, our formula is a blend of natural supplements like bladderwrack, kelp and iodine that are shown to support a healthy thyroid. COMPLETE THYROID SOLUTION: To get the benefits of all the nature thyroid support nutrients and herbs found in one 2 capsule serving of our formula, you’d need to take an iodine supplement plus 13 other thyroid supplements! INCREASE ENERGY LEVELS NATURALLY AND MORE: Our thyroid energy supplement re-energizes the body, assists with healthy metabolism and thyroid function, blood circulation and more! 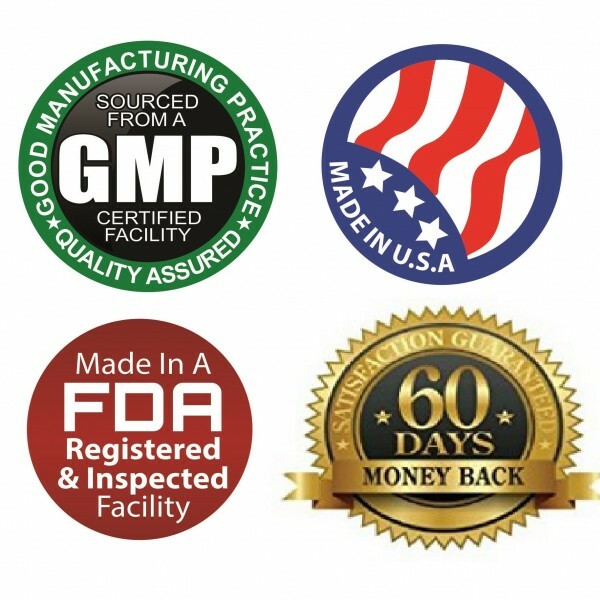 MAXIMUM BENEFITS: Our thyroid supplement is optimized to ensure complete, full absorption and is made in the USA to guarantee safety, purity and potency. 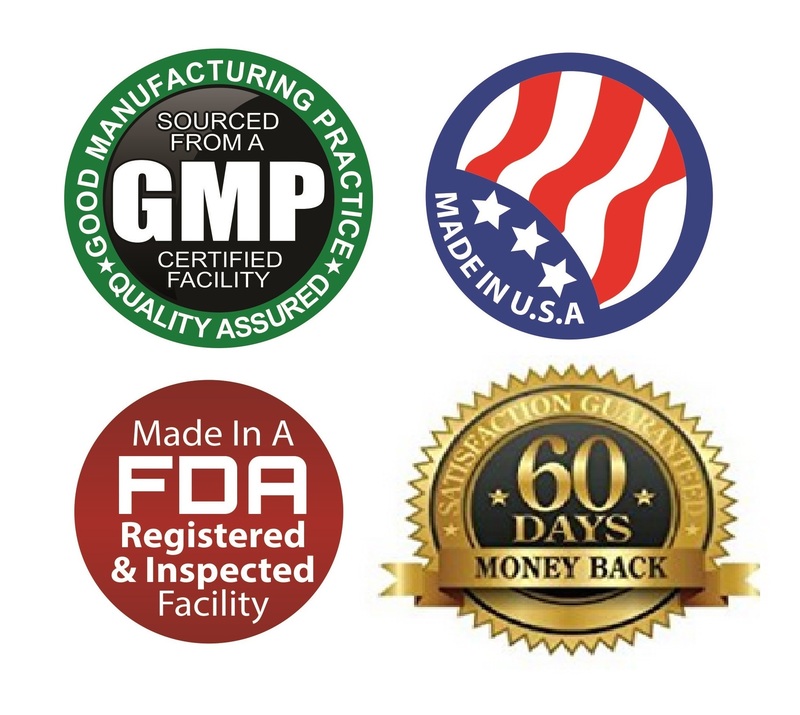 SATISFACTION GUARANTEED: If you’re not fully satisfied with the results you get from our thyroid support supplement within 60 days, we’ll refund your money. Today, there are medicines like Armour Thyroid available to treat hypothyroidism, but many people are troubled by the side effects and health risks associated with these products. That’s why increasingly doctors are recommending natural supplements to provide thyroid support. 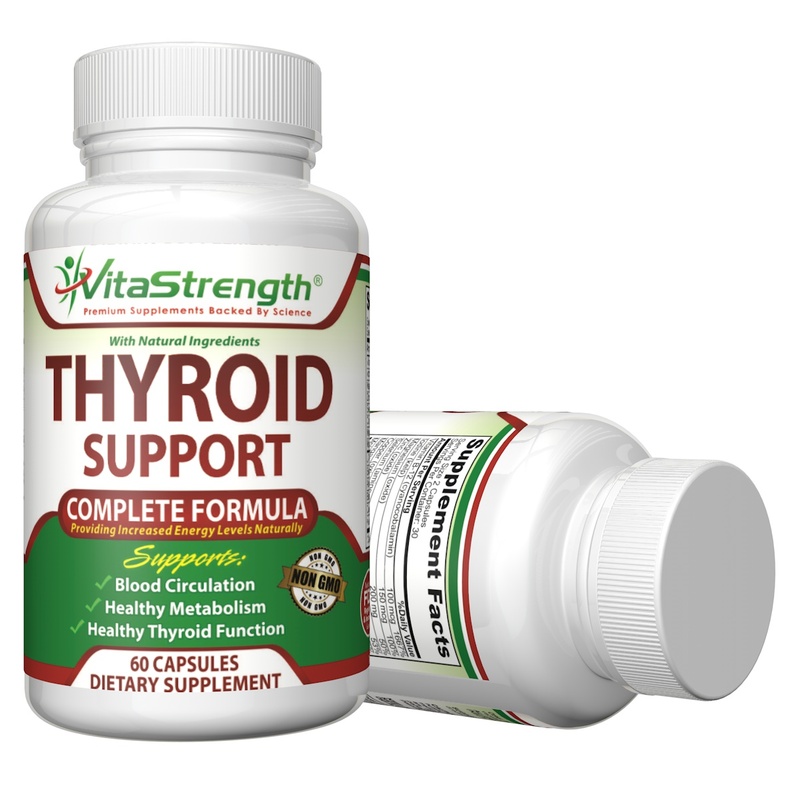 Get the benefits of 14 proven thyroid support supplements in one convenient formula! 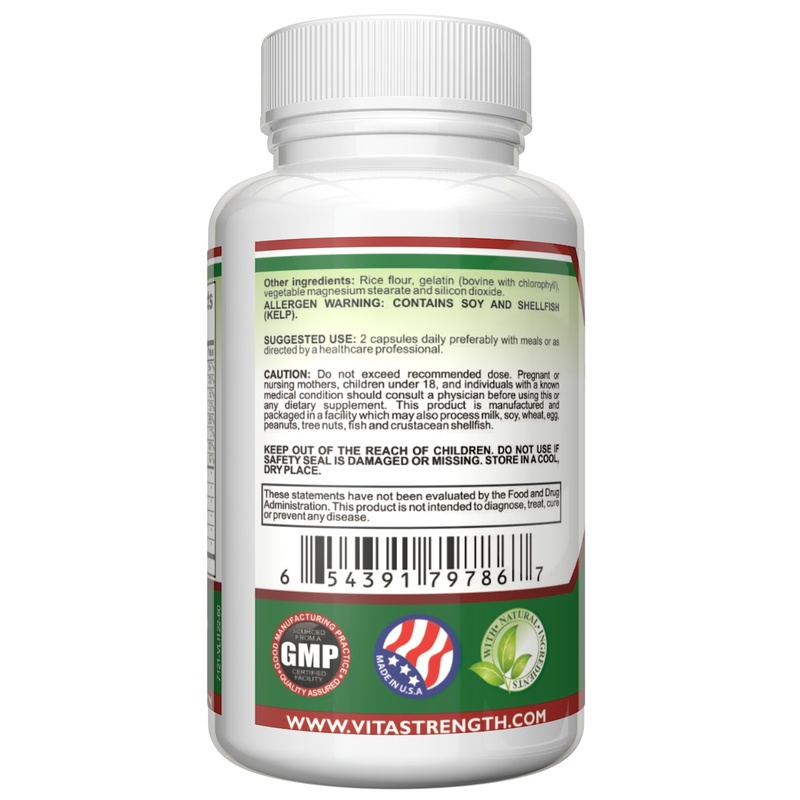 Order VitaStrength Thyroid Support now. My doctor diagnosed me with hypothyroidism and the first thing she did was prescribe me Synthroid. The prescription medication caused numerous side effects so I quit taking it. I was thrilled to find a supplement the works for me. 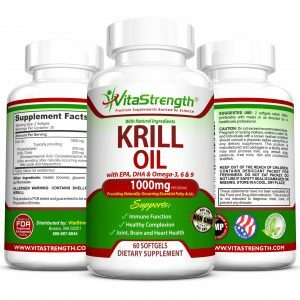 VitaStrength Thyroid Support Supplement has given me back my energy, I sleep better and my hair is no longer dry and brittle. I have been able to lose some weight now that I have the energy to go walking. I haven’t felt this good in ages! I am very happy with this supplement and will continue to take it. I am looking forward to my next doctors appointment And plan on showing her this supplement. Vitamin B12, Iodine, Magnesium, Zinc, Selenium, Copper, Manganese, Molybdenum, L-tyrosine, Schizandra, Ashwagandha Root, Bladderwrack, Cayenne Pepper, Kelp. So now you can Regulate your thyroid function to support a healthy hormonal balance. I have taken thyroid supplements for years as my thyroid is always a bit under the weather. I loved this product because it offers all of the standard solutions to thyroid- Kelp Iodine, B Vitamins, Ashwagandha , minerals, etc, plus it includes Cayenne Pepper to give a boost to a sluggish metabolism. My doctor recommended a thyroid support product, and while it is effective, it is expensive as well. I was excited to receive a discount coupon in exchange for my honest review of this product. I compared the ingredients in my regular supplement to the ingredients in this one. I was happy to see that in many cases, this product provided more of certain supplements, at less than half the cost of the one my doctor mentioned. With USA and GMP stamps, this one is a winner. 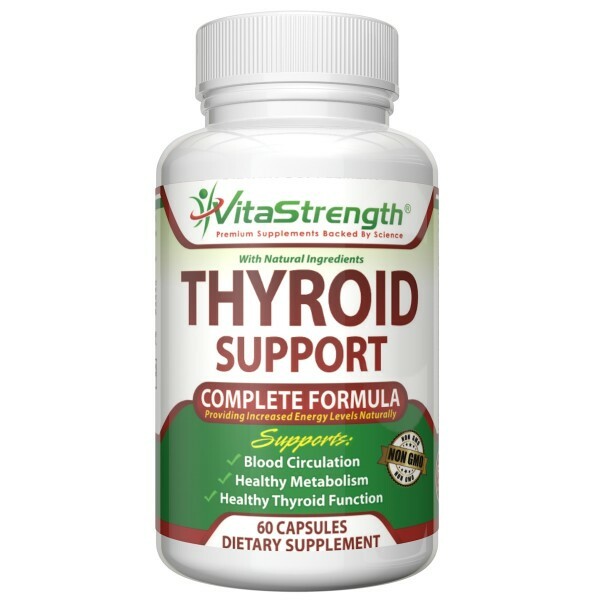 I have hypothyroidism and the VitaStrength Thyroid Support Supplement has been very effective at managing my symptoms. Thyroid hormones directly affect metabolic rates, brain activity, respiration levels, heart and nervous system functions, body temperature, skin hydration, menstrual periods, and blood cholesterol levels. Hypothyroidism can be a difficult thing to live with. Its only been a week and I have started noticing changes in the way I felt. I have been trying to lose weight and the Thyroid Support Supplement is helping me reach that goal. I have already lost a few pounds. Anyone who has hypothyroidism can attest that its an uphill battle when it comes to weight loss. I am sleeping better, with less tossing and turning so naturally I feel more alert and less sluggish. I am able to stay on task better and hold my concentration. My overall mood has improved and I feel less anxious. My hair loss has decreased. The constant cold hands and feet are improving as well. As an added bonus it boosts the immune system, too! All natural capsules that are easy to swallow and have no aftertaste or side effects. Just two capsules once a day is all you need! I have had low thyroid since I was a teenager and the prescription meds I take daily just do not seem to give me the energy and good feeling I want. Three days on this thyroid support and my “adams apple” is smaller, I feel more energy than I have in a long time. maybe ever. I have had, so far, no side effects from the medication. Ok so I have finally have a dr who listens to me and and is willing to let me try an all natural supplement for my thyroid issues. I can tell you at first smell and taste its not great but if it works Ill take it! I am trying to avoid all the chemicals they try to give you and go the more natural rout. I am following the recommendations on the bottle. I am only on day 2 but will update with my progress as I go. My thyroid has never felt more normal and balanced. I totally take this every day and so far I’m feeling an amazing boost to my metabolism and improved overall energy levels and wellness. I got this item at an incredibly marked down price or totally free in return for my one hundred percent unprejudiced and one hundred percent fair review. I am by no means whatsoever connected with the organization that makes this product or the organization that offers this item on Amazon. I am by no means whatsoever connected with Amazon aside from as a loyal client. I trust you to exercise one hundred percent independence when purchasing this item. I stand behind the announcements I have made in my review one hundred percent. I trust that you have discovered my review to be one hundred percent enlightening and one hundred percent supportive. I truly have tested this great item in my home and have composed my review taking into account that in-home use. The Thyroid support from VitaStrength is very good, the biggest thing I like about it is how it is GMO free. I want to avoid as much modified products in my system when taking anything and especially supplements so I am happy about this. However one thing to keep in mind is If you’re getting this as a gift for friend or if you are vegetarian or vegan, beware it has kelp so if they can’t take shellfish then buy this for them so you take it for yourself. Another thing is how the pills it self are medium big and how it has a good smell when opening the bottle. This to me makes me confident that I am getting a lot of nutrition and something that is strong so I expect result to occur. Within the hour of taking 2 pills I felt normal because earlier in the day I felt lethargic from eating foods for lunch which I shouldn’t have and I was struggling to stay awake but I did not want to nap. This really made me much better with my body energy levels and even my head from feeling as foggy. I have an issue with hypoglycemia if my diet is poor from high carbs or sugar or if I skip a meal for a couple hours so I wanted this help with some of the issues I have when things go haywire with my body. Although this product is something which is beneficial in taking in the long run, I am happy to also experience immediate effects. Where has this product been all my life!!!! I was recently diagnosed with hypothyroidism but have not been prescribed medication. With that being said I was tired and even had brittle nails. Thanks to this product I am not feeling more rested and have a ton more energy. Even my nails feel better. I wish I had this product months ago. I have been taking these for two weeks and it definitely helped to relieve my condition. I am feeling less lethargic and drained. Good buy for the price. Thumbs up! What can you do with a long list of symptoms of being hypothyroid, but an HMO Dr. who says “you’re normal” based on your TSH? (even though mine had increased 50% is was still in the “normal” range) This is a story I have hear over and over from woman friends. In my particular case, I kept getting blown off about the hormonal issues I reported to my Dr., one even offered me an anti-depressant rather than help for my issues. I eventually went to an ND (Natropathic Doctor) and started taking natural supplements, what tremendous help! 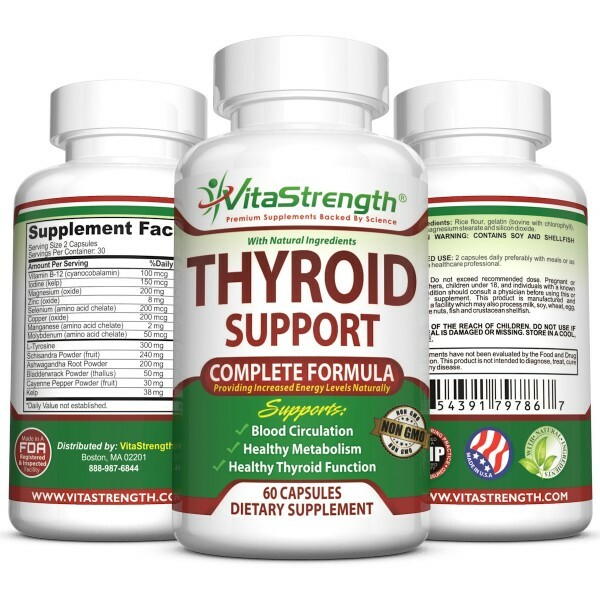 When taking these thyroid support supplements I can tell the difference in my energy levels, ability to concentrate, memory and other symptoms. I really like that this one is made in the USA from natural ingredients. So extremely thankful I found this product!! Ever since I was younger I have had issues with my thyroid. When I was first diagnosed It was hyperthyroidism but as I have gotten older it had switched and I am hypothyroidism. My test results never seem to show that my levels are regulated by my prescribed medication. Apparently this is exactly what I needed in my life! From dry skin, dry hair, fatigue, mood swings abs everything in between. I feel like a normal woman again! Thank you so much!! I’m really happy with the results that I have gotten since I started taking this supplement. My energy has much improved, plus my circulation has also improved. I notice that my fingers and toes aren’t always cold like they used to be. I will continue to take this supplement. I was diagnosed with hypothyroidism several years ago. I took synthroid for a couple years, but still experienced brain fog and other symptoms. I am now taking natural thyroid and have noticed a difference. 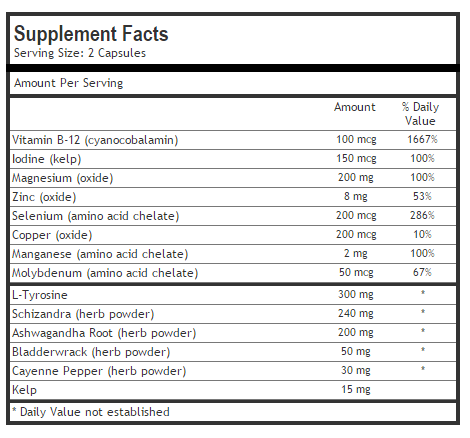 I was a little hesitant to take an additional supplement but the ingredients are all good ones so I figured why not! I am so glad that I gave them a shot because I definitely can feel a difference in my energy levels! I feel like I have a steady flow of energy through out the day and know that it is because of this supplement. My regular thyroid medicine never made me feel like this! I have my energy back and finally feel like I have had a restful night’s sleep. If you have been fatigued, get tired easily, have cold hand and feet, struggle to control your weight due to a sluggish metabolism, and feel forgetful; then this supplement is for you. You owe it to yourself to give this a try. I have so much energy since taking this and feel rested. I can think straight again! I will continue taking this since it’s made such a positive impact on me. As a person who has an under-active thyroid, finding a natural supplement that can help give my body the neutrients it needs to encourage proper thyroid functionality is very important to me. This supplement has everything your body could ever need for making sure your thyroid is up to par. This has been a great help for me personally, and I have noticed a big difference in my energy levels since I’ve been taking this supplement. This can help with anyone who has an under-active thyroid, or if you have an over-active thyroid. I would strongly recommend giving this product a shot if you have any thyroid problems and you don’t want to see a doctor and get any prescriptions for it that could cause negative side effects. I am pleasantly surprised with this product. I have had borderline thyroid labs in the past, but not enough to warrant treatment. After taking this product, I noticed a significant improvement in my energy. I have no noticeable side effects to it. Capsules are fairly large, but are still easy to swallow. I think this supplement combination is worth trying for anyone having symptoms of hypothyroidism. I will be curious to see whether this has any effects on my next lab results. Much cheaper than going to the doctor. Thyroid supplements have increased my energy and reduced my tiredness. I have been taking this Thyroid Support supplement and it has really helped with increasing my energy levels, depression, and alertness levels. I am able to sleep better and finally losing some much needed weight. This supplement is great for those that have an underactive thyroid, it gives the body the boost it needs to function better. I figured I’d give this a try as I’m borderline low thyroid function. This really works! I feel alive again and have enough energy to go through a full day. Being treated with synthetic thyroid medication, I thought I will never be myself again. For over a year I felt unhappy, sluggish, bloated, and depressed. My doc did not want to change my meds so I took my life in my own hands. Boy was I surprised. After first day of use I noticed a difference in energy and after a week I’d lost 4lbs. That was an added bonus. I’m 44 and have been trying to loose weight for a while but was only able to lose 7lbs. Then just got stuck there. Had no energy for much exercise or anything else for that matter. Recently went back to the store for more, and couldn’t find it, and the sales people where of little help. Providing glandular support for the symptoms of: low energy; low metabolism; cold hands & feet; melancholy; restlessness. 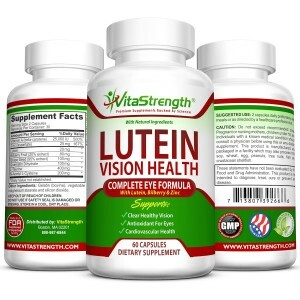 All natural ingredients; no drowsiness; non-habit forming; fast, effective symptom relief. This supplement has changed my life! I did not have to wait long to see results. It started working almost immediately. I highly recommend this homeopathic, all natural supplement. This is a good supplement to give you extra boost for the day. I don’t think it can substitute prescription drugs, but if you are having some minor problems with low energy and drowsiness, this can definitely help. have hypothyroidism. Although my thyroid levels show “in the normal range”, I still have the signs and symptoms of hypothyroidism…sluggish overall, foggy mind at times, cold extremities, etc. It has been soooo aggravating. 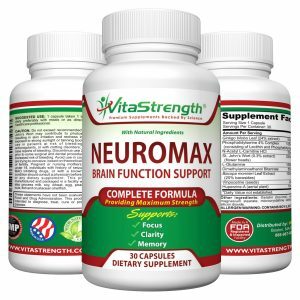 I have been on the search for a natural supplement. I have tried several over the months…with little success. This Premium Thyroid Support, it one of the better ones! I have no stomach upset, no jitters and the fogginess has actually lifted! My energy is still on the low end, but with a little more time on this, I think it will help that as well. (I have been taking this for almost 2 weeks.) I have noticed I do not eat as much and don’t crave junk food like a normally do. This has helped lose 3 pounds in less than 3 weeks! I will continue with this, no doubt. Seems to work, after doing some research, I approve of the list of ingredients. I feel more energetic and balanced when I take this on a periodic basis.I’ve tried several thyroid suppliments with L-Tyrosine, thinking it was the important ingredient, but I didn’t feel as energetic when I used other products with it. The difference in this product from the others is the glandular complex. I consistantly feel great with this product. My thyroid is under-active, and I take the prescription, Levothyroxine, to manage it. Although my blood-work says my thyroid is at the correct level, my body still says it is off. I was looking for something that I could take with my prescription that was safe to take with it and also would give me the boost my body needed. This supplement really kicked my body into gear. Within a few days I felt myself back on track. I didn’t need the nap between 12 and 1, I didn’t feel so tired and worn out. There wasn’t any really weird stuff in them that made me feel icky or anything. My Doctor always says my thyroid runs slow…even prescribe medicine for it…figure this Premium Thyroid Support by VitaStrength would be a good addition to my medication to be sure my Thyroid is doing a worthy job…because otherwise I just gain weight even looking at a newspaper ad of a Pizza! These pills are just as described!! They shipped extremely fast and are easy to swallow. I’ll definitely be purchasing again. I have been hypothyroid since 2006 and with all my symptoms flaring up every now and then, even with medication, I always need a supplement that will work its wonders. I am glad to have given VitaStrength’s Thyroid Support a try. It has helped me combat the symptoms and has given me renewed hope. ✏️ Increase energy levels without caffeine or other stimulants.
? Overall an excellent purchase and I highly recommend this product. This product has helped me tremendously. I would recommend to any one with a thyroid problem. It is still no replacement for a dr. but it is a better alternative to some of the meds you may have to take. Wouldn’t you rather take an OTC than a script for anything you can? I know I would. I don’t want my body getting used to that high dose of meds before it has to. I love it. I am feeling better. I love this supplement, it helps regulate my period, has helped me lose a few lbs. and even helps with night sweats. Great stuff! The right combination of ingredients and the right price. Your thyroid seems to have a reflection on how you feel everyday, it controls so many different things that it is important to make sure everything is good & have the right support. These will do just that. They are amazing and seem to help SOO much along with giving you other vitamins your body needs! So far I love it. It has improved my mood and my circulation since my feet/ankles seem to swell at night. I overall think it is worth a shot if you haven’t tried it yet! I wanted to feel better so when i seen this i thought i would try it.when i did I started feeling better. Earlier it was a big challenge for me to keep being active for the day but after taking thyroid supplement, I have felt much better. I still take my regular prescription . i would recommend it if you want try try something new to manage your thyroid. This has really helped me the last few days get my body temperature more regulated! I do not have a diagnosed thyroid condition, but test on the low range of normal and haven’t found anyone interested in taking it seriously despite many of the symptoms. I have several other larger medical issues, but know this factors in as well, and have a strong family history of Hashimoto’s I love that this contains Ashwagandha Root as it keeps me from exerting as much energy on stress and anxiety. I also love that this has kelp in it. I’ve taken kelp alone before and blek! I wasn’t able to handle higher amounts, but now I can reap some of the benefits without the ick factor. Cayenne pepper is also a win for the metabolism! So far so awesome! 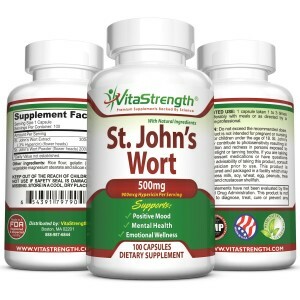 This supplement is high quality and easy to take. I’ve felt more energy since I started taking it and I haven’t noticed any negative side effects. I would recommend it to anyone that has low energy or other symptoms. These are definitely high quality supplements! The thyroid support supplement is a fabulous idea. I have had more energy since starting the thyroid support and I have noticed a decrease in my appetite. Has many vitamins in it also so I just take this as my multi-daily supplement. Wonderful supplement. I will always take it. I dont have a thyroid problem and have been taking this supplement solely to boost my metabolism. I definitely have more energy and overall alot less sluggish. The capsules are tasteless & very easy to swallow. This has worked really great for me so far. I have an under active thyroid. This supplement haa really proven to me that a well balanced supplement truly can make a difference. I feel more focused and energetic. I can honestly say that I feel 100% better since trying these! I feel like my energy overall is improved and I just feel so much more rested instead of tired and fatigued all the time. These are easy to swallow and much cheaper than prescription or even most over the counter ones I’ve tried. I wasn’t expecting such quick results but I am happy I gave these a try and will continue to use them. I will update my review after taking them longer to let you know how they are working. If nothing else, they are worth a try to see if they work for you too. This Premium Thyroid Support came well packaged and on time. Energy levels are up. So much better for your body than prescription drugs with no side effects whatsoever. Very happy with this purchase.